January is the waiting month, isn’t it? Waiting for the cold weather to end, waiting for the bank balance to improve, and waiting to feel better now that Christmas is over and life seems a bit grey and dull. Here I’m waiting for something to happen for youngest – the child I don’t write about on here. I’ve been waiting for months and months, and while I wait my weeks are filled with phone calls and meetings, and more phone calls and more meetings. We’re so close, too close, I’m stressed about the waiting, and stressed about what may actually happen. I’m doing a lot of hibernating too. Hiding from people for fear I will just rant unstoppably, or cry, or both. The endless meetings are all part of the process, and at least they keep me busy so I can’t brood too much, so do they count as reasons to be cheerful? Does my hip injury count, which means enforced rest from running but more Zumba? Also in Zumba related news, we’re dancing Flamenco this term, which really excites me as I always had an interest in Spanish music, right back to my school days when I prepared a dissertation on Zarzuelas – to the astonishment of the examination board in those pre internet days… Note to self: must put visiting Spain on my bucket list! This is possibly the first year ever that I’ve got to choose my own calendar – don’t get me wrong, I love getting calendars as presents, but it was an enjoyable novelty to pick one myself. Of course there was too much choice, but in the end I plumped for a Lonely Planet calendar which has gorgeous pics of places I’ve never heard of and may never visit. My disabled daughter B rejoined the local 13+ club for teens and young adults with disabilities this week – it was a disco with now famous Mick and Dusty, and she loved every minute of it! Being injured means I can salve my conscience about not doing enough volunteering for parkrun. Last Saturday B and I went to Tymon and took photos, and we hope to do Tail Walker at Fairview this weekend. 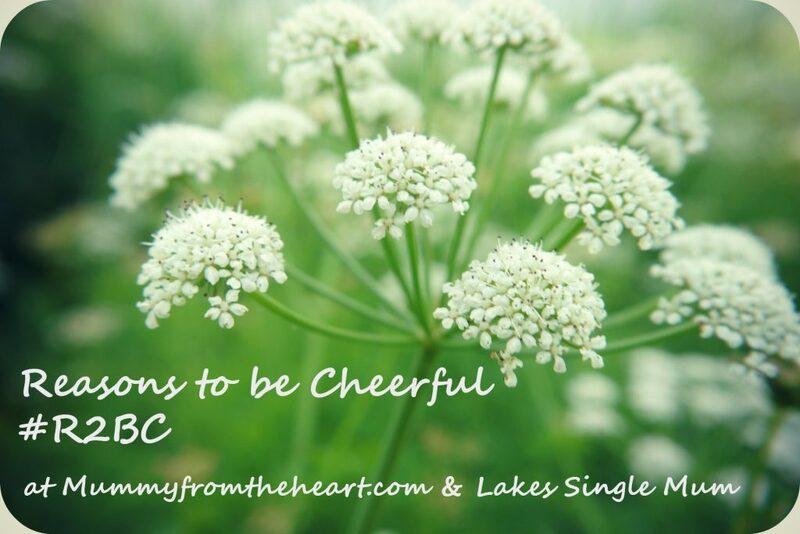 For more reasons to be cheerful head over to Lakes Single Mum.